Smartphones have become part and parcel our daily life and if you want to own the best of them, you must be ready to spend the cash. Here are the world’s 10 most expensive smartphones that you wish you had in one of your pockets. The vertu brand is a well know expensive smartphone in the industry so it, not a surprise that one of its smartphones made it into the list. Due to the high price of the vertu signature diamond, the company made only 200 pieces of this pretty and fancy cell phone. This smartphone runs the Android platform but that is not the important detail that you should be looking out for. The phone comes with 75 baguette cut white diamonds, black alligator leather, and of course buttons that are finished in white gold. 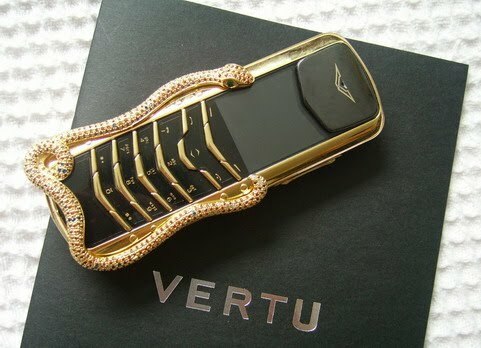 Vertu made a collaboration with French jeweller, Boucheron, both parties were able to design and release one of the most salivated items in the world. The Black Diamond is not the fanciest looking phone on the list, but the phone is still the seventh-priciest in the world. Gresso’s offering is the first device that has broken the seven-digit mark and why wouldn’t it? Weighing in at 180 grams, the Luxor Las Vegas Jackpot happens to be a heavy weight for its size. As for the rest of the details, the phone is made of solid gold and comprises of a back plate made up of African hardwood that is 200 years old. That wood is the most expensive wood in the world. Also, its keys have meticulously been sculpted from sapphire crystal. There were only three of these bad boys made by Gresso. This phone was established in Switzerland in 2005. You thought that the Gresso Luxor Las Vegas Jackpot was the ‘be all, end all’ of luxury smartphones, then let the GoldVish Le Million refresh your “medulla” that the phone comes with a price tag of $1.3 million. Goldvish “Le million” is designed by renowned designer Emmanuel Gueit, who designed lots of luxury watches and jewellery. The phone was awarded by Guinness World Records as the world’s most expensive mobile phones sold in the Millionaire Fair in Cannes, France in September 2006. A Russian businessman laid his eyes on this phone and knew that he just had to have it. He ended up dropping $1.3 million on this beauty. 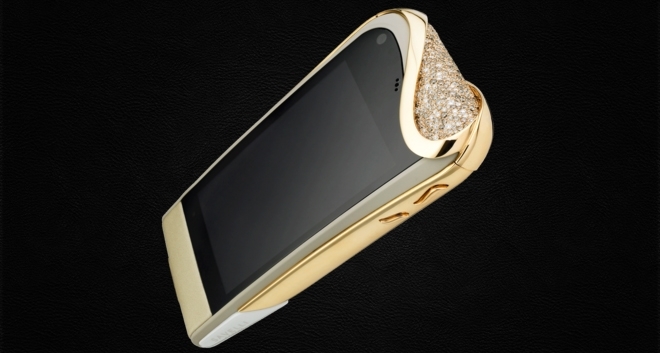 Often referred to as the world’s most expensive phone at $1.3 million, this designer phone is bejewelled with 18k white gold and 120 karats of VVS1 diamonds. The diamond crypto has the same price as the Goldvish “Le million” and possesses each bit of luxury as the Le Million. Developed by Russian firm JSC Ancort in 2006 to protect the user against hacking of sensitive information, the firm also did well to make sure that the ones who were able to get their hands on the phone could also pay a ton of money for it. The Diamond Crypto Smartphone has 50 diamonds that cover each ends of the smartphone. For the third most expensive mobile phone in the world is still occupied by a variant of the iPhone, named King’s Button iPhone 3G. The beautiful white diamond of 6.6 carats serves as the home screen button which enhances the beauty of this phone. 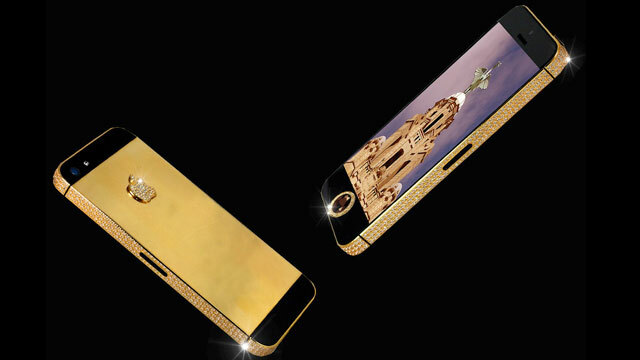 If that does not impress you, then perhaps the entire phone is covered in 18 karats yellow gold will. The black diamond is one of the rarest jewels in all of the world. Stuart Hughes was able to find one of these black diamonds and place it in one of his custom iPhones. A businessman in China saw what the Russian businessman did and decided that he and he alone must have it. Stuart Hughes got a call from the businessman and he wanted the phone to be the only one on the market, made especially for him. He got his wish and it cost him well over $15 million. The makers of the SuperNova are nice enough to set you up on a payment plan for this phone. The only thing they ask is that you pay $48.5 million for it. 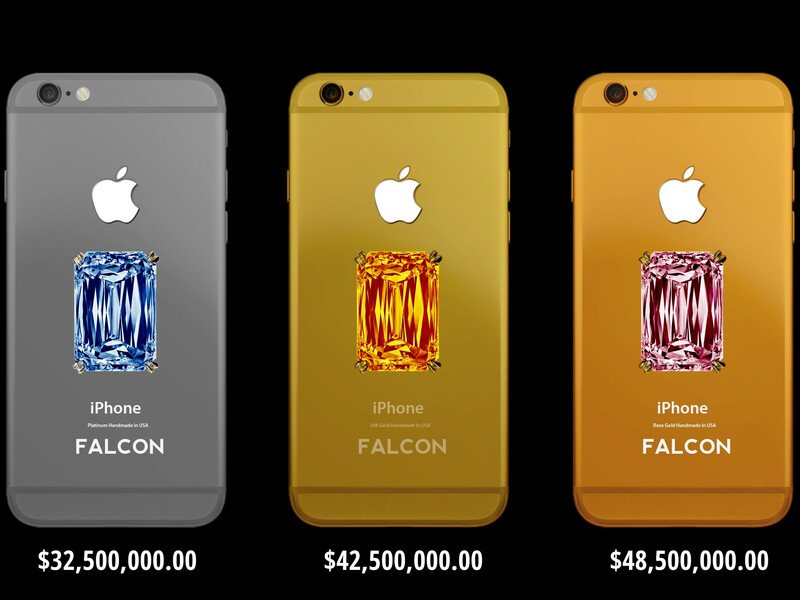 There are cheaper versions of this phone, including one in platinum with a blue diamond, but it costs just $32.5 million.